A hobby favorite, the storied brand lives on with 2017-18 SP Authentic Hockey. Hobby boxes include two autographs with a chance for more. 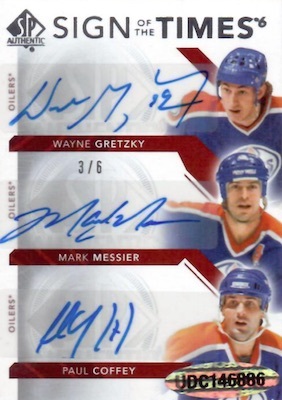 Similar to the 2016-17 product, NHL collectors have a shot at hot boxes that feature a third autograph. Kicking things off, the 100-card base set includes new Red (1:6) parallels, which fall three to a box. In addition to the main base set, Authentic Moments (1:6) highlights key events. 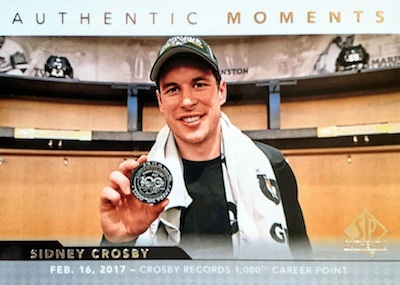 Making their debut on the 2017-18 SP Authentic Hockey checklist, Rookie Year Milestones (1:6), displaying rookie-year images for established stars, combine with Authentic Moments to come seven per box. Much tougher to pull, 1990-91 Retro Draft Picks cards average 1:45 packs. Back again, Spectrum FX inserts are a box hit, and add a bonus (second) card in roughly every other box. Veteran players average 1:18 packs, and the Future Watch subset comes in three different groupings: Level 1 (1:36), Level 2 (1:90) and Level 3 (1:360). 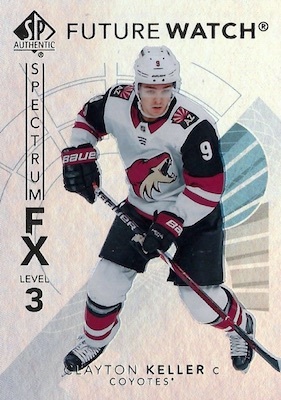 The Spectrum FX set is also part of the Upper Deck Bounty Program. The first 50 collectors who complete the 99-card insert receive a Spectrum FX Gold set (#/50) and card #100, which can't be pulled in packs. Allowing UD the opportunity to highlight players (or moments) that were left out of the Series 1 and Series 2 lineup, the Upper Deck Updates set extends the flagship checklist with four dropping in each box. Base update cards average 1:9 packs, while Young Guns come 1:13 packs. These each also have Exclusives (#/100) and High Gloss (#/10) parallels. As most fans know, the Future Watch subset is where the rookies reside in 2017-18 SP Authentic Hockey. There are Autographed Future Watch (#/999), Autographed Future Watch Holdovers (#/999), Future Watch Patch (#/10) and Future Watch Auto Patch (#/100) options to hunt down. Each hobby box includes one signed Future Watch card. 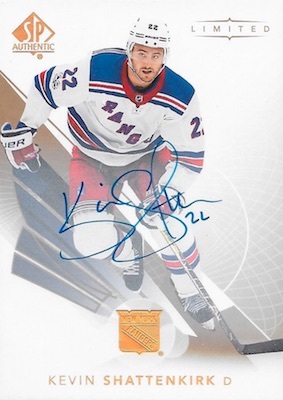 2017-18 SP Authentic Hockey also contains a base Limited Autograph (1:216) parallel done in Gold Spectrum foil. Limited Auto Material (#/50 or less) puts superstars alongside their signatures and relic pieces. Adding to the inserts noted above are signed 1990-91 Retro Draft Picks, Authentic Moments (1:1,440) and Rookie Year Milestones. Other autographed choices include hobby favorites such as Global Chirography (1:576), Great White North Signatures (1:576), Immortal Ink (#/10) and Marks of Distinction (#/25). Autograph Retro Rookie Patch cards have just 25 copies. 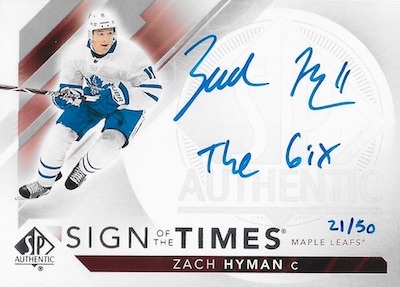 A long-running line, Sign of the Times comes in Tier 1 (1:120), Tier 2 (1:2,304) and Rookies (#/99), as well as multi-player Sign of the Times 2 (#/25), Sign of the Times 3 (#/15), Sign of the Times 4 (#/10), Sign of the Times 6 (#/6), and Sign of the Times 8 (#/5) sets. 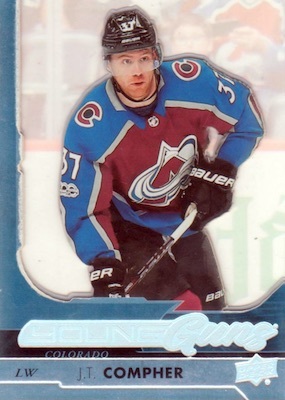 Dubbed "The Ultimate Buyback Auto," the already-iconic Connor McDavid Young Guns card provides a limited chase. 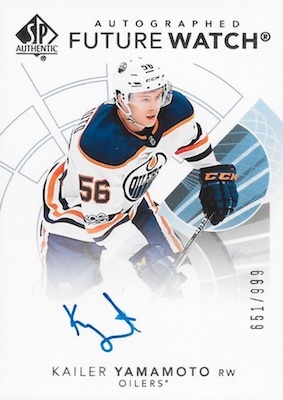 The flagship rookie buyback is signed on-card and hand numbered to McDavid's jersey number (#/97) with an added certificate of authenticity. PARALLEL CARDS: Limited Red (1:6 packs), Black SSP (Unannounced). 77 cards. Serial numbered #/999. Shop on eBay. PARALLEL CARDS: Black SSP (Unannounced). 60 cards. Limited to first 50 cards in overall 999 print run. Overall Odds - 1:216 packs. Specific group odds below. 16 cards. Serial numbered #/25. Overall Odds - 1:576 packs. Specific group odds below. 5 cards. Serial numbered #/25. Overall Odds - 1:120 packs. Specific group odds below. 14 cards. Serial numbered #/99. 13 cards. Serial numbered #/10. 100 cards. Shop Spectrum FX cards on eBay. PARALLEL CARDS: Gold #/50 (Bounty only). 21 cards. See the full Young Guns guide and gallery. PARALLEL CARDS: Exclusives #/100, High Gloss #/10. 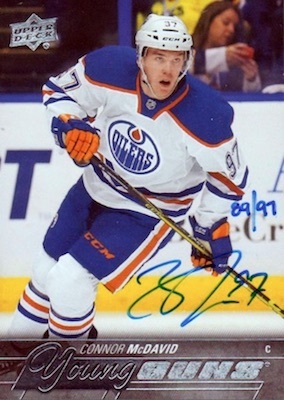 McDavid auto buyback. I can see the box / case pricing increasing already. 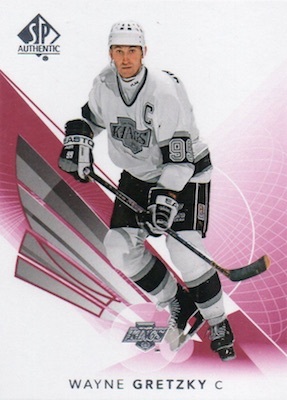 What an amazing card for the 97 collectors who have the luck and hit one of those cards! Certainly makes up for a less than steller group of rookies. INTERESTING for sure! So if they are advertising SP Authentic already does that mean no Parkhurst hockey or Fleer Showcase hockey this year? No 17-18 No 1 or 2 pick auto, meaning no Nico Hischier and Nolan Patrick. 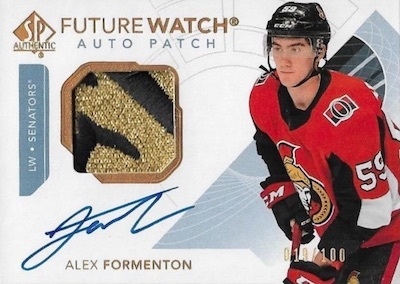 I am still upset that there is only guaranteed Future Watch Auto per Box. They and the FWA patches are all I collect, so buying boxes/packs is pointless. Otherwise, it is still my favorite set to collect. Finally, it would be nice when the card companies stop having private contracts for autographs so the COLLECTORS can get what they want (ie Hischer and Patrick, and previously Eichel). Does anyone know which YG cards will be included in the SPA update set? Donato? The Young Guns update set checklist is a bit of a disappointment. 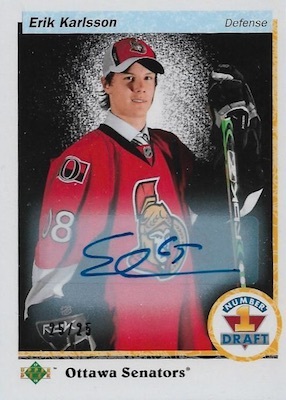 @lars, Matt Grzelcyk had a Fleer Showcase RC last year, he won’t have a Young Guns card. disappointed in this year’s update much like series 2. Aho, Kampf, and Georgiev are pretty amazing. Lettieri and DeSmith are pretty cool. Travis Boyd maybe. I was hoping to see Oscar Dansk and Alex Lyon. Easily a lot more worthy selections than what we got. I hated how Honka only got a Canvas in last year’s set. Who comes up with the lists for sets anyway? Nice looking rookies and clean design but break experience and value on SPA is so much worse now that it is 2 autos per box with lots of junk insert autos and prior year rookie autos not named Mathews. Very poor collation on the inserts. With 77 rookies, many half cases will barely have one good rookie auto in them. The base inserts are all very repetitive and disappointing. 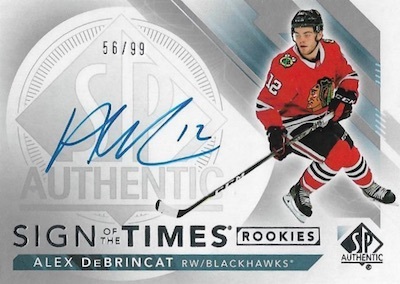 ANy news on how many black future watch autos are produced for each player. Watched some breaks of this. Terrible. The rookie class is horrendous and to make things worse, they have close to 100 in there. The veteran autos are terrible. No one wants Jason Pominville. This box isn’t worth near what they charge. Two crappy autos in at least 80% of the boxes I’ve seen. Upper Deck has fallen off the map. Recently stopped collecting due to their customer service and miserable product. It’s a shame they are the only ones with a license. Noticed epack users are dropping as well. $90+$15 to ship. Yeah, right. Avoid this box at all cost. I pulled a Great White North auto of Ryan Johansen and don’t see him on the check list. Does anyone know the odds on pulling this card? It’s an update card from 2016-17 and listed at the bottom of the checklist. I was very lucky with this product. A lot of good cards, but I realize that was only me. The product is quite bad. The checklist is meah, but the design is nice. I really like the Future Watch autos. What I don’t understand why some of them (except Patrick and Hischier) are not signed. The FX are a nice idea with the bounty program, but there are too many to collect. It’s not UD’s fault that the rookie crop is bad, but they could have done a better job with the checklist. Personally I really dislike the Authentic Moments and customers are not very fond of it either. I don’t get the idea of Red parallels to the base set. That’s very Trilogish with their blue parallels and I don’t see it as an improvement for this set. 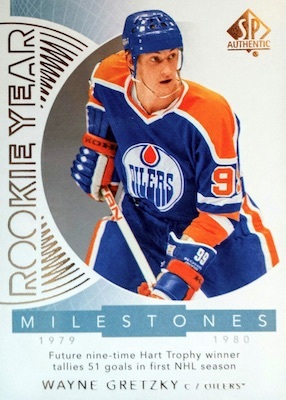 I like the idea of Rookie Milestones and Retro Rookies, but the design, especially for the first one, could be much better. The Sign of the Times deserves an improvement. And yes, waaaaaayyyy too many updates (not talking about UD and Young Guns). Fun product to open. 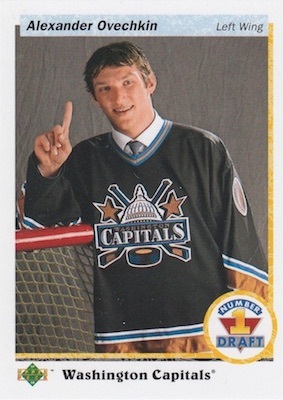 I did get a #8 Ovechkin Spectrum with a signature, however for the life of me I cannot find on checklist. On back it says 2016-17 SP Authentic. any ideas? Love this product. 1st box pulled the McDavid buyback. a few weeks later, bought another 2 boxes. 1st box I pulled a retro Taylor Hall 9/10 auto. 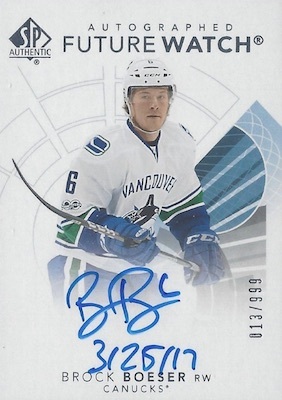 and a Boeser clear cut young guns! lots of luck with me buying this product! Clean cards too! Unannounced Black parallel. Noted in the parallel section for the checklist.